Vantrunk is a manufacturer of extreme cable management products and associated support systems, a company of international renown, with over 50 years’ experience in the Global Energy, Oil and Gas and Industrial Processing sector. Vantrunk is an established world leader in the development of proven and innovative cable management solutions, manufacturing trusted solutions that are designed to excel in extreme environments. Their purpose-built UK production site includes a 5000m² manufacturing and warehousing facility and an additional 6500m² marshalling and storage area ideal for major projects. Vantrunk is the specialist division of the Unitrunk Group, which provides the benefit of an increased capacity and expertise through the utilisation of Unitrunk’s 9300m² manufacturing facility in Northern Ireland. Worldwide Procurement Service UK Ltd in partnership with Dron & Dickson are proud to represent the Vantrunk brand in Ghana. Temperate zone, atmospheric environment with low pollution e.g. rural areas, small towns. Dry or cold zones, atmospheric environment with short time of wetness e.g. deserts sub-arctic areas. Temperate zone, atmospheric environment with high pollution or substantial effect of chlorides e.g. polluted urban areas, coastal areas without spray of salt water. Subtropical and tropical zones with an atmosphere with medium pollution. Temperate and subtropical zones, atmospheric environment with very high pollution and/or important effect of chlorides e.g. industrial area, coastal areas, sheltered positions on coastline. Subtropical and tropical zones (very high time of wetness), atmospheric environment with very high pollution, including accompanying and production pollution and/or strong effect of chlorides e.g. 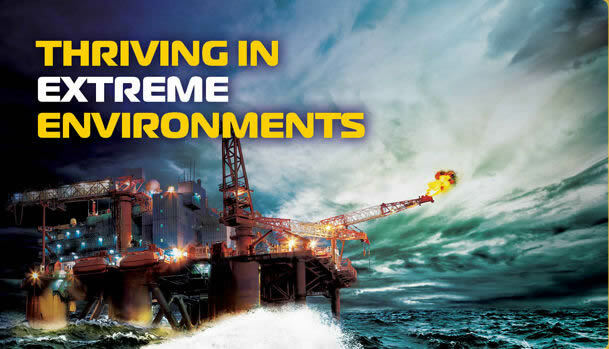 extreme industrial areas, coastal and offshore areas with occasional contact to salt spray. Vantrunk has long term accreditation and compliance with ISO 9001:2008 and they are members of the British Electrotechnical and Allied Manufacturers Association (BEAMA), the Energies Industry Council (EIC) and registered with FPAL and Achilles JQS. This accreditation and membership should leave customers in no doubt about the quality and commitment that Vantruck brings to any project. Examples of certification are available on request. Please contact us for more information.